One of coolest things about Maker Faire are the art cars. One of my favourites this year was covered in little metallic pinwheels. 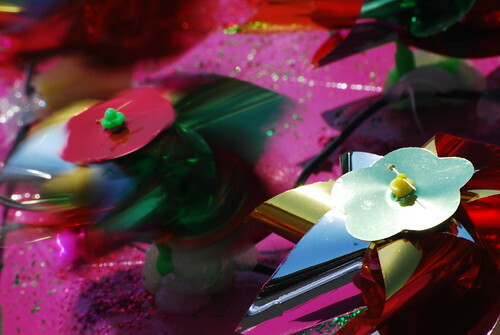 As the warm summer breezes spun the little windmills a flurry of colour would move over the car, scales flickering and shimmering in the warm air.